Sad. There’s probably several others that I simply forgot about as well. 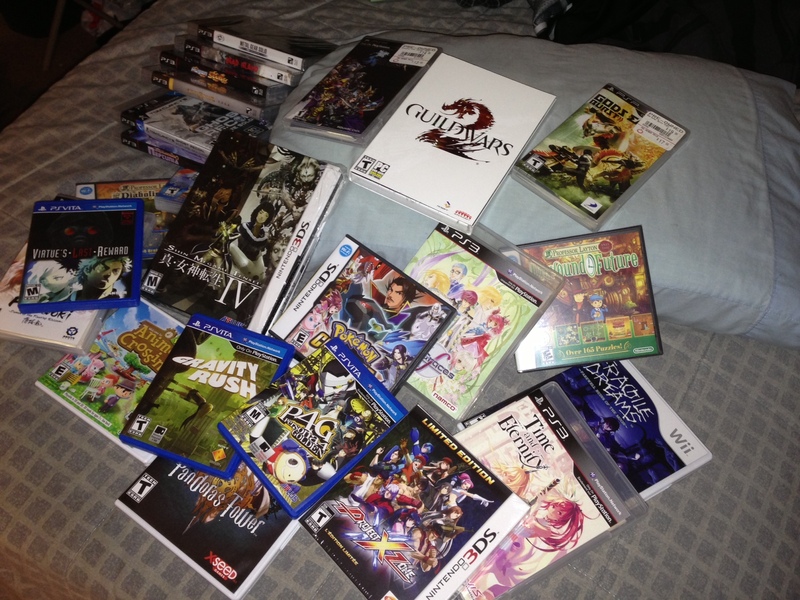 Crazy how much I’ve let this backlog accumulate. Amazing how much time I used to have. Or maybe more amazing is how much time I used to waste on this hobby (World of Warcraft, I’m looking at you). The last game I played to completion is probably the last game I even posted on in this blog, which was Final Fantasy XIII-2. Other than that, I think I’ve completed maybe one game (cooperatively) since and that’s it. I guess on a positive note, they serve well as decor and shelf fillers.